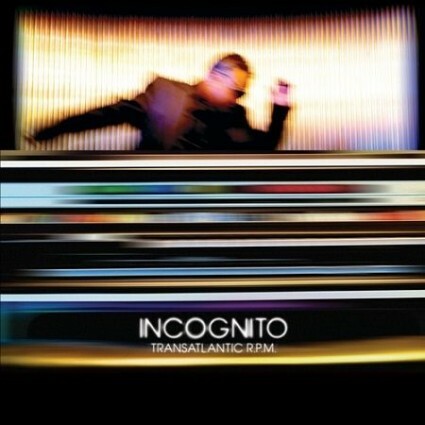 Happy 30th Anniversary Incognito! Yes; thirty years of old school soul, funk, disco, hip-hop and jazz produced by the U.K. sensation that still sounds as fresh today as when they were first introduced to the world in 1980 with an album appropriately named Jazz Funk. Despite a ten-year absence after their debut, they returned to the recording studio with Inside Life and have never looked back since. After signing with club DJ Giles Peterson’s Talkin’ Loud imprint through Verve Records, Incognito was one of the label’s prominent acts throughout the nineties. Their long string of singles including “Always There,” “Still a Friend of Mine” and “Don’t You Worry ‘bout a Thing,” plus various dance remixes, have charted consistently on the U.K. Top 100. Incognito’s percussive groves were fueled by the funky jazz of mid sixties and seventies played by Roy Ayers and Donald Byrd. As the club scene progressed, depending on who you talk to, these grooves were also dubbed Acid Jazz, Nu Jazz, Soul Funk, Jazz Rap, etc. Other prolific groups and vocalists including Greyboy All-Stars, James Taylor Quartet, Ronny Jordan and The Brand New Heavies deliver those funky beats with jazz sensibility to this day. But for now, it is Incognito’s turn for their close-up. And boy, are they celebrating the biggest year of their life with full abandon. In 2010 alone, they released their 30th Anniversary DVD (Livein London) which included Incognito alumni Maysa Leak and Jocelyn Brown; followed by a brand new studio release Transatlantic RPM. What astounds me about Incognito is how the many contributing talents have surpassed their counterparts; all under the direction of their founder Jean Paul ‘Bluey’ Maunick. Though Bluey has full hands on as producer, musician and songwriter, he stands by the philosophy of congregating various musicians and singers who are able to keep their ego at the door and share the same musical vision. Thus,the ever expanding Incognito family remains intact, even while popular soulful vocalists such as Maysa, Imaani and Brown who enjoy fruitful careers return to the fold on various occasions, including their 30thAnniversary celebration. So what is there to truly say after experiencing Transatlantic RPM. How about Happy 30thAnniversary Incognito! And here’s to sixties and seventies jazz funk at is peak in the millennium.